We were lucky to be invited to watch the English National Opera perform their children's opera 'Laika the Space Dog' on Tuesday. It was an introduction to opera and we thoroughly enjoyed it! Miss Davies and Mrs Bray attended the presentation for the Sculpture on a Pallet on Wednesday 8th June. Unfortunately, our sculpture didn't win a prize but we did get a certificate which can be seen on our classroom door. The duckling (as yet unnamed) hatched on Thursday afternoon. He has grown a lot over the weekend and can now come out of the incubator for short periods of time. The mud run was a charity event. So far this young lady has raised £250! An egg has hatched. 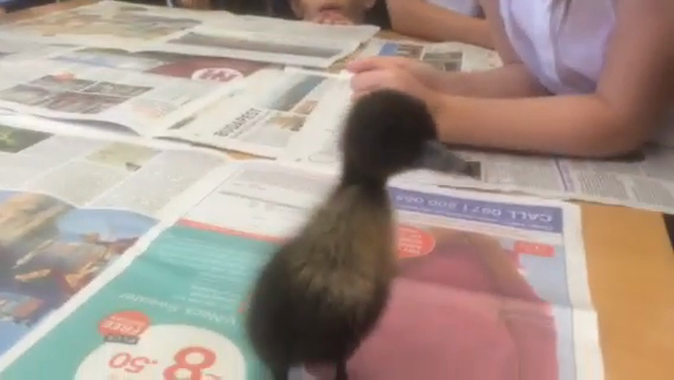 We have a duckling!! We are very proud of this young man who has just signed a contract for THFC!